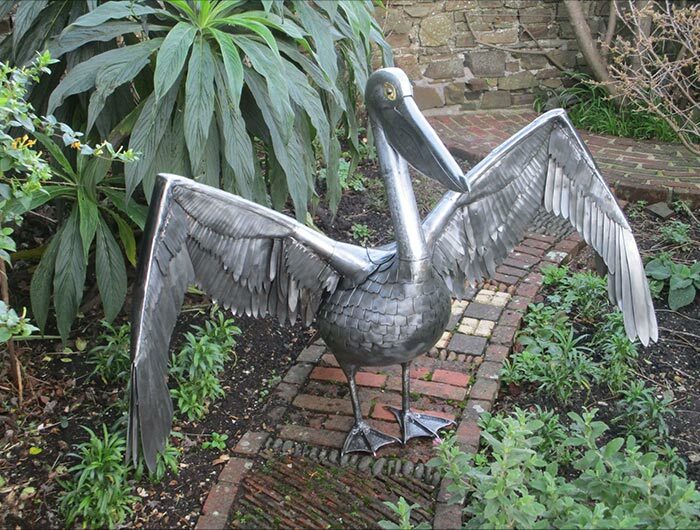 Peach & Bill Shaw were recently commissioned to create a full size pelican that will be fully galvanised soon. 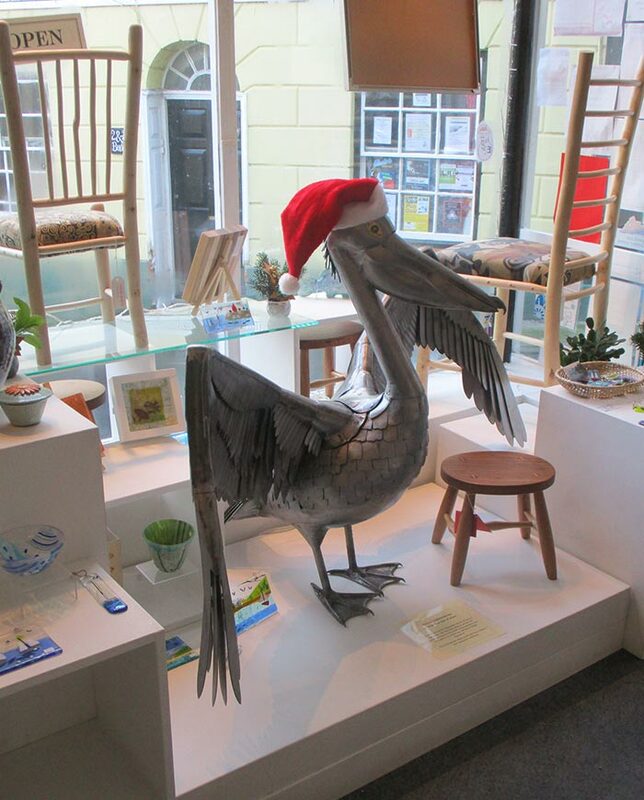 Its final roost will be at the edge of a pond on the Isle of Wight. It took 6 weeks work in construction. It’s a perfect trial run for the next commission of a life size buzzard in full flight that will be at the Seamoor Unit, North Devon District Hospital next year!